FRAN HF-LS115 – Hondon de los Frailes – Villa for sale in Hondón de los Frailes, Alicante. 70 sq. mts. house size, 1300 sq. mts. plot size. Resale property in the lovely Hondon Valley, Hondon de los Frailes, Alicante, Spain. The house sits on a corner plot. 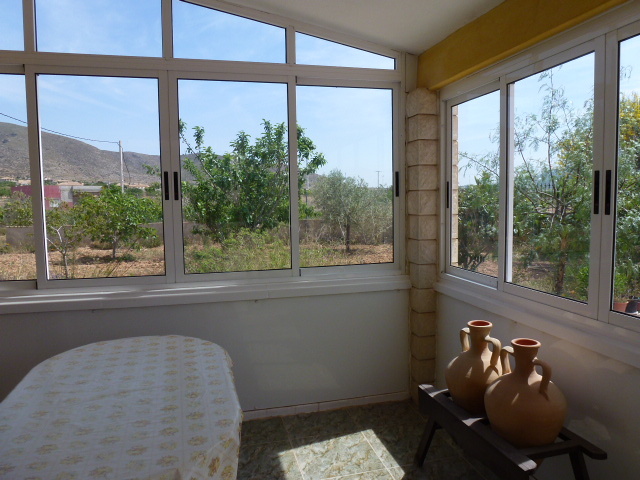 It consists of 2 bedrooms with build-in wardrobes, 1 bathroom, large kitchen, living room with woodstove. 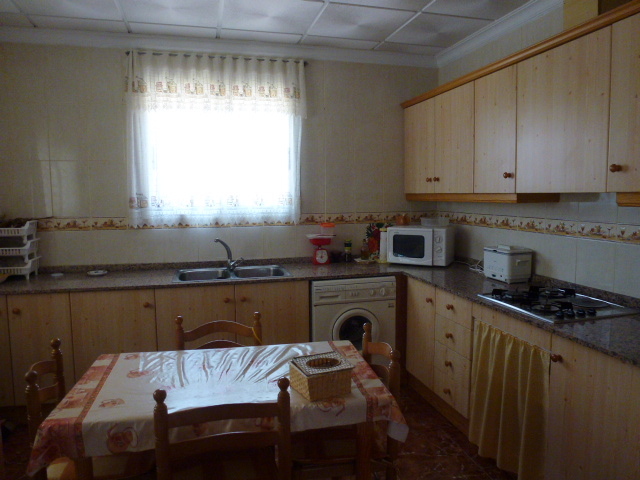 Outside we will find a garage, storage area and a BBQ with kitchen. 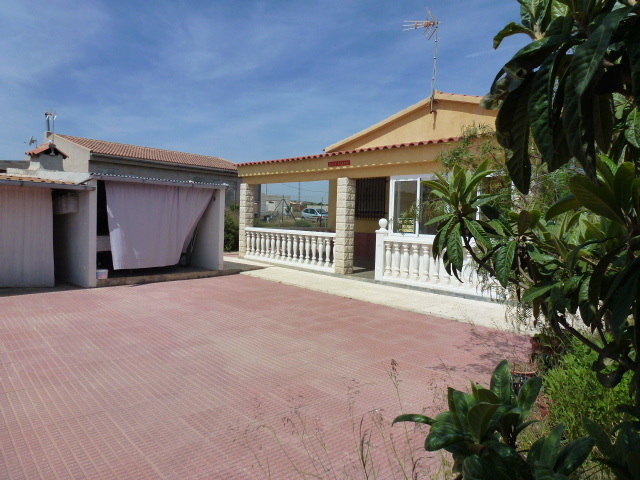 The villa also offers a nice terrace which is partialy glased-in for your comfort, can be enjoyed all year around. The garden has different types of fruit trees and other plants and flowers. Connected to mains water and electricity. Please, contact us to arrange a viewing. The name ‘Hondon de las Nieves (Snow)’ is not due to its climate but results from the village’s devotion to Our Lady of the Nieves – a devotion shared with the nearby town of Aspe. 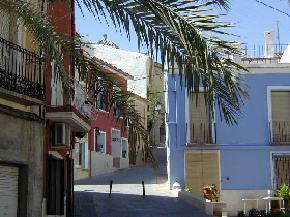 In 1926 the adjoining hamlet of Hondón de los Frailes gained its independence from Hondon de las Nieves. Hondon is located in an area producing the bagged grapes, which have provided the main source of prosperity for this traditional farming community in the centre of the Vinalopo Valley. 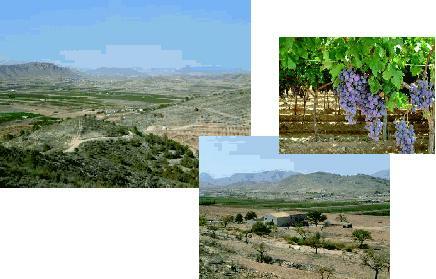 In addition to the bagged grapes, Hondón also produces wines that can be purchased from the local wine shop (bodega). With a name that literally means “George of the Friars” the charming village of Hondón de los Frailes is located in the beautiful Hondón valley about 40 km from the Alicante and the Costa Blanca coastline. 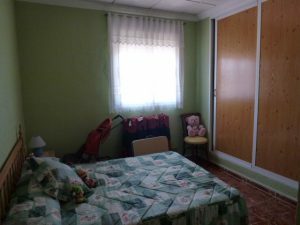 The municipality of Hondón de los Frailes covers and area about 12 km2 and has a population of just over 1,000 (2006 figures), it is bounded by the picturesque Sierra de los Frailes (which reach a height of 718 meters above sea level). 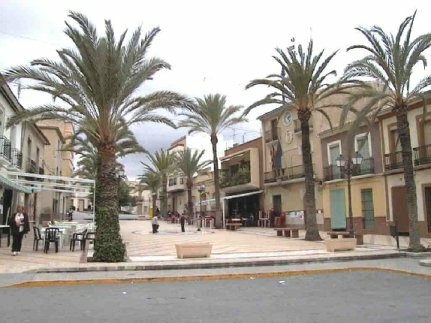 The name of the village originates due to the fact that it was owned by an order of Dominican Friars during the 17th Century and was controlled by the Corregimiento de Orihuela until 1833. 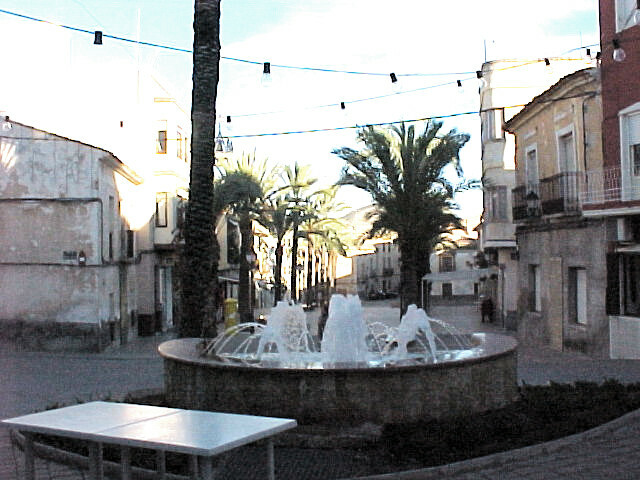 In 1840 along with the village of Redovan, Hondón de los Frailes became part of the municipality of Hondón de las Nieves and remained so until it gained its independence in 1926. There is evidence of settlements in the area going back to ancient times and there was a Roman site there during their occupation of the Iberian Peninsular. Later settlements by the Moors established Hondón as an agricultural area, producing crops such almonds, olives and grapes. The present day village has mostly grown up around the 19th Century church, the Iglesia Virgen de la Salud, which was built by the Dominican Friars. Hondón de las Nieves ( George of the Snows) with its population of 2,300 is named fro the “Virgin of the Snow”, and the village church was built in her honour. Hondón de las Nieves is a peaceful agricultural village with a traditional Spanish feel and both villages have a warm and welcoming community. Hondón de los Frailes and Hondón de las Nieves are renowned for their fine table wines. Hondón de los Frailes is situated on the CV-845 between Aspe and Barbarroja, Hondón de las Nieves is also on the CV-845 a little closer to Aspe. 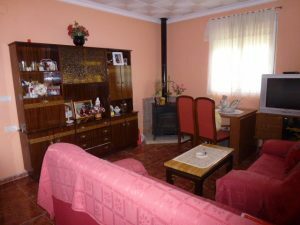 The Hondon region consists of three valleys with two villages; Hóndon de los Frailes, which is really just a hamlet and Hóndon de las Nieves, a pretty village with plenty of character and very friendly local inhabitants. 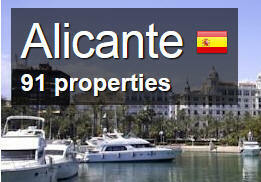 Accommodation Hotels Apartments and Guest Houses in Alicante. For your stay.